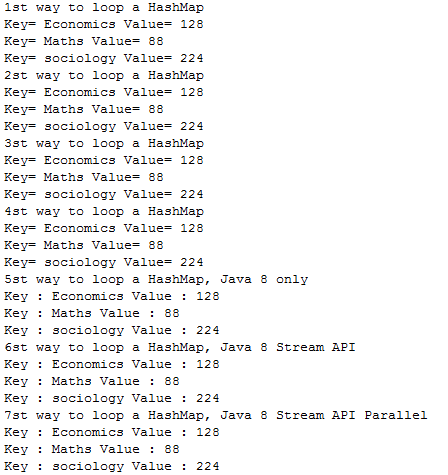 How to loop a Map in Java or How many ways to loop Map in Java are most important questions in any Java interview. It’s require a developer to list down the ways of loop a Map in Java. This post will show you five different ways of traversing a Map in java. Above we just show you how to loop a Map in Java and how many ways to loop Map in Java. Now, we are creating a main class to run the above code.